The people of Illela village and Marina village have expressed dissatisfaction over suspension of Village head of Illela (Magajin Garin Illela) in person of Alh Adamu Aliyu Illelah. His suspension followed his reported alleged involvement in selling part of government reserved forest of Safana LG popularly known Dajin Rugu. Soon after neighboring villages heard the news, village heads and community elders begun to react to his suspension. 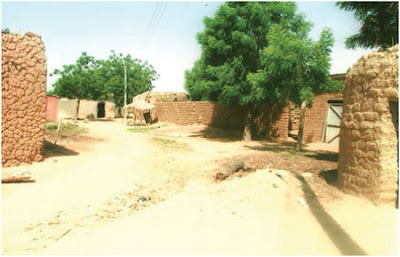 Among those whom exonerate the village head of Illelah is Alh Mamman, who is also the village head of Marina, who confessed to our reporter that He and his community were the ones who allotted the government reserved forest plots of land. According to the village head of Marina Alh Mamman Marina who said “Magajin Garin Illelah Alh. Adamu Aliyu has no hand in selling Dajin Rugu plot of land. We the people including myself decided to allocate the land to ourselves for security reason and to harvest the land in order to feed our families. Alh Adamu did not order anyone to sell a plot of land; in fact he was disappointed by our actions for allocating the land to ourselves when he was informed”. In his own part, Muazu Illelah who is the assistant organizing secretary of APC in Ilelah town has this to say “We the people of this area decided to allocate the land to ourselves because we have lost our cattle to Fulani herdsmen, our only option was clear some part of the forest and use it cultivate crops. We are ready to present ourselves to relevant authorities for further clarification but the village head of Illelah has neither consent nor hand in allocating Dajin Rugu plots of land”. Also commenting was Mallam Adamu a resident of Marina village said “we are not happy with what happened to Magajin Illelah, he has no knowledge of Dajin Rugu plots being allocated to people in the area. When he found out about the issue, he expressed his dissatisfaction to our actions”. His suspension and three others village heads were suspended based on a statement signed by the secretary of the emirate council and Sallaman Katsina Bello Ifo in a statement issued yesterday said the affected village heads have been suspended till an ongoing investigation on their role in the forest encroachment is determine. While trying to investigate deeper, our reporter spoke with the Assistant chairman Fulani herdsmen reconciliation committee Shu’aibu Illelah confirmed to our reporter is his own words “the village head of Illelah has no hand in what happened, it involved the Hausa people living in Marina village who sold the land plots to themselves and other Fulani herdsmen from Zamfara”. It can be recalled that the state government has vowed to deal with anyone no matter how highly placed if found wanting on encroaching forest reserves especially as it affects the Rugu forest which an ongoing cattle rusting and banditry amnesty program revolved around.